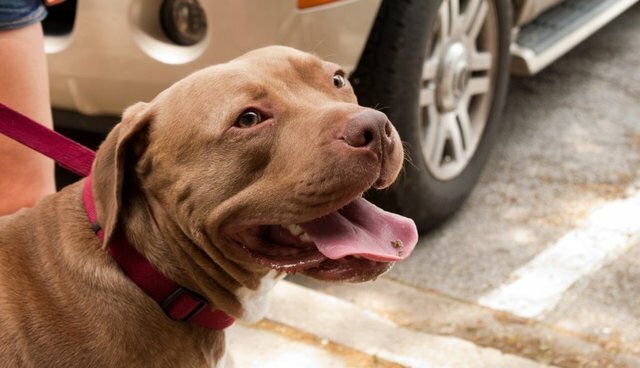 On Thursday, the Maryland House of Delegates gave final approval to enact a law that will end unfair breed-based bite liability for dog-owners, which unduly burdened families with pit bulls. The new law will effectively undo a 2012 Court of Appeals ruling that labeled pit bulls "inherently dangerous," punishing their owners -- and their owners' landlords -- more harshly for infractions and forcing many pet-lovers to give up their dogs, in order to stay in their homes. Now, animal welfare groups, animal shelters, dog-owner and landlord advocacy organizations alike are celebrating that state's move to offer all Maryland residents equal liability protection. "Dog bite victims could have been compensated differently depending on the breed of dog involved in their injury, [but] this new law will provide certainty and protection to victims as well," explained Chloe Waterman, state legislative affairs coordinator for the ASPCA. "[Additionally], our hope is that landlords will adjust their policies so that responsible dog owners are not forced to choose between keeping their home and giving up their beloved pets." Maryland legislators are also considering a related bill that would make it illegal for municipalities to enact any new breed-specific laws. The law, H.B. 422, would also prohibit local governments from labeling specific dogs "dangerous" based solely on breed. "While H.B. 422 would not impact existing breed-specific ordinances like the pit bull ban in Prince George's County," Waterman said, "it would prevent other localities from enacting these sorts of misguided policies in the future." Maryland is just one of many states that have recently moved toward banning breed-specific legislation. Missouri, Vermont, South Dakota, Utah and Washington have also proposed or passed similar new laws within the past several months.